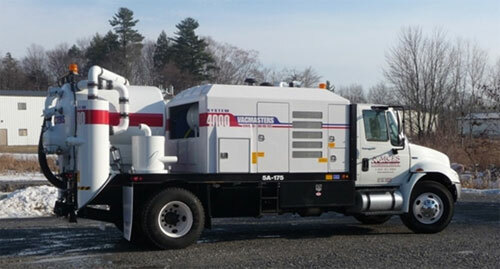 Air-Vacuum Excavation System - MC Environmental Services, Inc.
With its wet/dry vacuum capability, the Air Vacuum Excavation System enables MCES to perform a variety of remedial jobs, even in hard-to-access locations, more quickly and safely than ever. Site investigation & monitoring – less invasive than test pitting – ideal for roadways or parking lots. 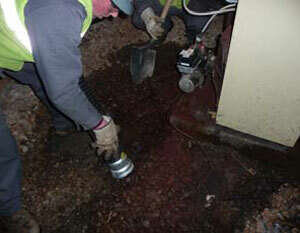 Spill cleanups in basements or tight areas not accessible with excavation equipment. The 4S0-gallon tank and drum interceptor allow waste to be transported off-site in bulk or be placed directly into drums. 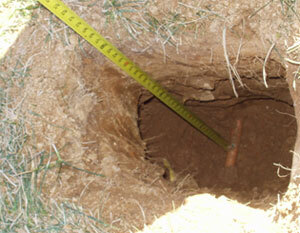 Dry, clean overburden soils can go right back into the hole. With the AVES, we can pre-clear the area to verify the location and depth of utilities before you drill! A New York State Certified Woman-Owned Business Enterprise. © 2010 MC Environmental Services, Inc.